Grilled Mediterranean beef kebabs are a perfect balance of flavors. Garam masala, black pepper, jalapenos and garlic bring out the earthy flavors of ground beef and onion. Shape into small logs or balls and place on skewers, and grill before serving. These beef kebabs only take a few minutes on the grill, so prep them the night before for an easy and exciting weeknight dinner. In small bowl, combine melted butter, garam masala and black pepper. In large bowl, combine beef, onion, cilantro and jalapeno. Add melted butter and combine thoroughly. Shape into small logs, approximately 2 inches long. Carefully place on skewers. Cook on preheated grill, about 2 inches from the heat source for about 3 minutes on each side. Serve immediately. Very nice. One tip if you are using wooden skewers: Soak the skewers in water for 30 minutes before you start grilling - this will help stop them from burning. 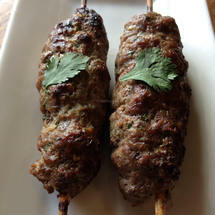 Summary: Grilled Mediterranean beef kebabs are a perfect balance of flavors. Garam masala, black pepper, jalapenos and garlic bring out the earthy flavors of ground beef and onion. 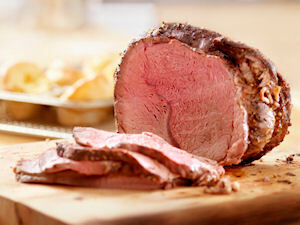 Shape into small logs or balls and place on skewers, and grill before serving. These beef kebabs only take a few minutes on the grill, so prep them the night before for an easy and exciting weeknight dinner.